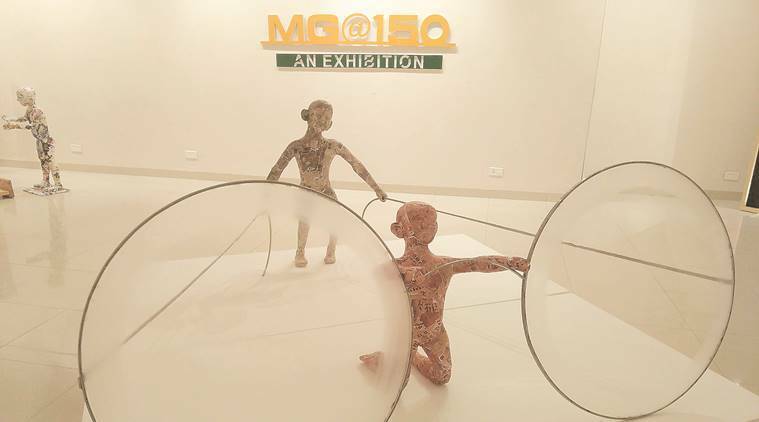 Kanwal Pal Singh explores these ideas with his exhibition ‘MG@150’ at Alliance Francaise, Chandigarh. Singh looks at Gandhi’s beliefs and ideologies and how they influence young minds. How can children understand Mahatma Gandhi’s ideas and philosophy? How do they identify with him? Kanwal Pal Singh explores these ideas with his exhibition ‘MG@150’ at Alliance Francaise, Chandigarh. Singh looks at Gandhi’s beliefs and ideologies and how they influence young minds, as a tribute to the Father of the Nation on his 150th birth anniversary last year. “The initial seeds of this exhibition were planted in my mind in 2016, when I found myself comparing Gandhi’s ideologies with properties of papier-mâché as a medium. With these five installations at this exhibition, I have translated my thoughts into visuals. 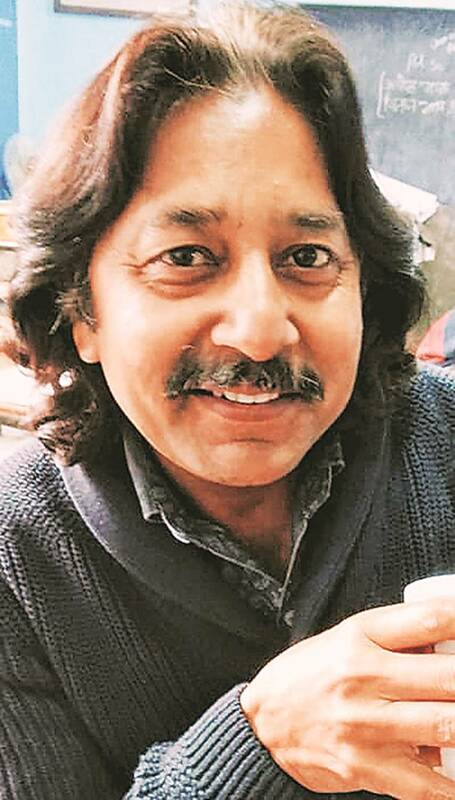 Papier-mâché is a basic material easily available and can be used to create detailed contours,” says Singh, a multi-disciplinary artist who teaches art in a government school. The exhibition is an attempt to understand his own feelings, emotions and journey as an artist. Singh graduated from the Government College of Art, Chandigarh in 1986, where he specialised in printmaking, painting and photography. Children, their relationship with simple objects, their small, happy worlds, are recurring themes in Singh’s work. “Though I worked consistently and exhibited as part of group and solo shows, I was searching for a new medium to narrate stories. This time I wanted to explore and experiment with paper-mâché. The colours I use are soft and soothing, with figures and everyday objects finding their way into my work,” says Singh. ‘MG@150’ has been inspired by his students and their outlook, as Singh affirms that a six-year-old has his or her own eye for understanding the world. “Children perceive and understand the world in their own special way, playing with things to explore, uncover and discover their value and beauty,” he says. Using newspapers, pages from magazines, wooden planks, cotton strings, iron nails, LEDs, and electric wires, Singh has created Baton Passer, an installation that shows Gandhi handing a baton to a child, as if it were a relay race. “The triumph of a racer is the core philosophy of this installation. Gandhi’s teaching about excellence symbolises the progress handed to the next generation,” he says. The installation Footsteps represents the diversity of our land. It has a child stepping into the shoes of Gandhi that are larger than him and almost look like a skateboard. Following the child are similar footwear in various colours that come off the wall and on to the ground, symbolic of people from different castes, creed and background. In Vision of Bapu 1 and 2, Singh adds acrylic sheet, rice paper, stainless steel to his material, and shows two children holding large spectacles of Gandhi. The installation encourages people to see the world through his lens. “What I am trying to say here is that Gandhi is guiding their way towards progress and development,” he says. The Theory of Karma is another work where Singh shows children playing on a charkha. While one charka is designed like the wheel of the ship, the other looks a ball of strings. “The mind of a child is so flexible and imaginative. They look at the world around with wonder,” says Singh.